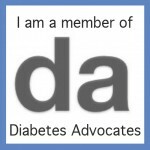 November 16, 2011 Advocacy, Community, Guest PostStacey D.
Since becoming active in the diabetes online community over the past couple of years, I have found a profound admiration for the parents of children with diabetes. I was once a child with diabetes however never got to see what my parents went through from their perspective. But now I can, through their voices. One of those parents is Scott Benner. He has been a stay-at-home father since his son, Cole, was born in early 2000. His daughter, Arden, was diagnosed with type I diabetes just after her second birthday, in the summer of 2006. Exactly one year later, he wrote his first blog post on his site, www.ardensday.com. Scott has something new up his sleeve and I wanted to share with all of you so please read on. 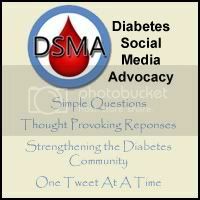 What do you get the best damn retweeter in the diabetes online community for the holidays? I’m seriously asking because all I got for Stacey was more words to show to other people. There are a few folks in the DOC that I could never thank enough for their support and the Girl with the Portable Pancreas is definitely one of them. 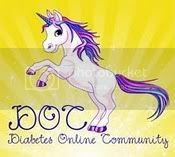 The diabetes online community is powerful, maybe more so then any one of it’s parts is aware. When we band together, we aren’t just powerful, we are unavoidable. I’ve seen it in the past, I’ve seen an entity bend to the will of the few. I can’t mention when or who because taking down my petition was part of the agreement that we made when said entity decided to listen. Please trust me, our voices have power. A number of weeks ago I stopped hoping that I could get devices for children with type I diabetes for free and I turned my attention to finding the money to buy them for the kids myself. I struck an agreement with one device company to purchase their device at cost and with that agreement in place, I am moving forward to set up a charitable organization so that I can fundraise and begin the work. 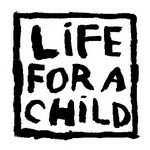 Starting a charity is expensive, more expensive then my family could bear on it’s own. I had two choices, give up or do something bold. I chose bold. 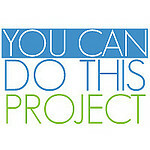 In just a few days amazing gifts have flooded my inbox to support the formation of this dream. They’ve come from all around the world, from North Carolina, Canada and even Finland. They have come in all sizes and types but each with the same sentiment. I am humbled and ready to pledge my time and my heart to making this dream a reality. If you’ve ever had the same thought, that diabetes devices should be available to every child that wants one, please take a few moments to find out more about my so far Untitled Giving Project. My family is fortunate to have good insurance and the means to cover our out of pocket expenses. I want, almost as much as I want a cure for type I, to help the kids who aren’t – can you please consider helping me to help them? Thank you Scott firstly, for what you are working on. And secondly, for taking the time to share your generous efforts here with my readers. I sincerely hope you will attain your goal and make the difference in the lives of children with diabetes! Please visit http://www.ardensday.com/ardens-day-gives to make a donation.